Today I'm moving back to Palermo. Actually, I'm writing these words in the airport, enjoying my last Leffe Blond and waiting for boarding. Am I ready to go back to my beautiful Sicily? Yes. Am I going to miss Brussels? Oh, hell, yes! It was a great time - I managed to accomplish many amazing things, travelled a lot and was very productive. And even though I'm pretty sure I will come back to Brussels many more times, I want to remember and honour this page in my life. So by clicking on the video below you can watch my room tour. 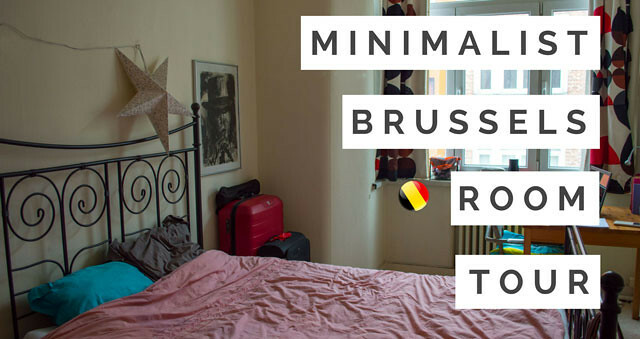 I moved to Brussels with 2 suitcases and brought things for two different seasons and a smart casual dress code. And I was very happy with how my room turned out - I didn't invest in any decorations and opted for functionality and simplicity, and it really worked for me. So without further ado - please, watch, like, share and subscribe! My gate was just announced. What is waiting for me on the other side of the plane flight? A wonderful new chapter of life, a new flat, new projects, my loved ones and a beautiful Sicilian winter. Stay tuned and thank you for your attention and kind thoughts! See you!